You will Watch G.I. 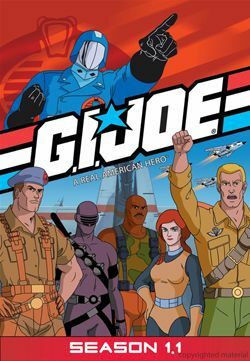 Joe: A Real American Hero Season 1 Episode 3 online for free episodes with HQ / high quality. Stream cartoons G.I. Joe: A Real American Hero Season 1 Episode 3 The Pyramid of Darkness Tomax is captured by G.I. Joe, causing his indentical twin brother Xamot to plan on rescuing him before Cobra can activate the final cube in the Sea of Lost Souls. Shipwreck and Snake Eyes find an ally in a pop singer named “Satin”, who helps them escape Cobra’s troopers in Enterprise City.